Lincoln Financial Field (also known as “the Linc”) is a football stadium that is the largest of the stadiums in Philadelphia with nearly 70,000 seats. 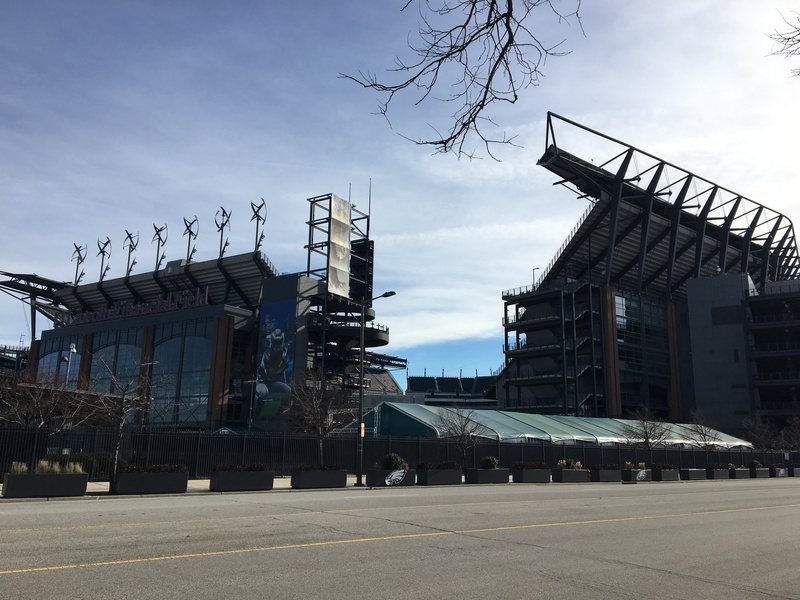 It is home of the Philadelphia Eagles of the National Football League and the College football Temple Owls. It opened in 2004, alongside Citizens Bank Park and joining the Wells Fargo Center in the Sports Complex. Eagles tickets are very expensive and even harder to get. The NFL season consists of 16 games, including 8 home games for each team. (Barring special circumstances) The cheapest tickets go for $75. The Eagles games can be very competitive, especially when they are playing any of their division rivals (Giants, Cowboys, Redskins). Either way, Eagles tickets are best bought as soon as they go on sale. The Eagles have sold out every home game since the stadium’s opening in 2004, and have a very passionate following in the Philadelphia area. The Owls, on the other hand, don’t usually draw as many fans, despite College Football’s immense popularity. The stadium is located several miles from Temple’s main campus in North Philadelphia. Whenever popular teams come to Temple, (such as when Penn State and Notre Dame came in 2015) the crowds are bigger, but tickets could still be available. The amenities are usually not very different, although the NCAA is extremely strict on its alcohol policies. Food available at the Linc includes the ever-popular Philadelphia cheesesteak. Season’s Pizza is also available. Another local favorite is the Schmitter, a sandwich named for Phillies great Mike Schmidt. A wide variety aside from those classic options can be found here, including some more upscale options. The Linc has been named the most vegetarian-friendly stadium in the entire NFL. The Eagles play in the NFC East of the National Football League, alongside the Dallas Cowboys, New York Giants, and Washington Redskins. These three teams form intense rivalries with the Eagles, particularly the Cowboys. All three of these teams come to Philadelphia once a year. The team was founded in 1933 after the Frankford Yellow Jackets went bankrupt. During World War II, the Eagles merged with the Pittsburgh Steelers, creating the temporary Phil-Pitt Steagles. Afterwards, the Eagles were NFL champions in 1948, 1949, and 1960. In 2018, the Eagles won their first ever Super Bowl with a thrilling 41-33 victory over the New England Patriots. Of course, Eagles fans have a reputation of being extremely competitive. Although statistically speaking, the Eagles don’t have as many arrests as other teams, the reputation’s still there. If you’re a visiting fan, you must realize that South Philadelphia is our domain. You’re in the Eagles nest. You’re in our house. And you are advised, whether you’re an Eagles fan or not, to not do anything stupid.